We thought we're seeing a NASA mission control center at one point. 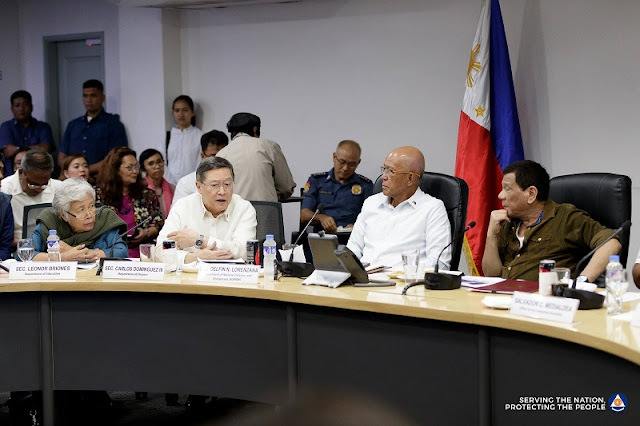 If you've been following the news of Ompong in the past few days, you might have seen parts of the new command center wherein President Duterte gathered his cabinet and other gov't agencies to prepare for the imminent devastation of Typhoon Ompong. Such facility is not new for Duterte. Then Mayor of Davao City, Duterte spearheaded the creation of Central 911, the city's main agency tasked to respond to any kind of emergency within the city. 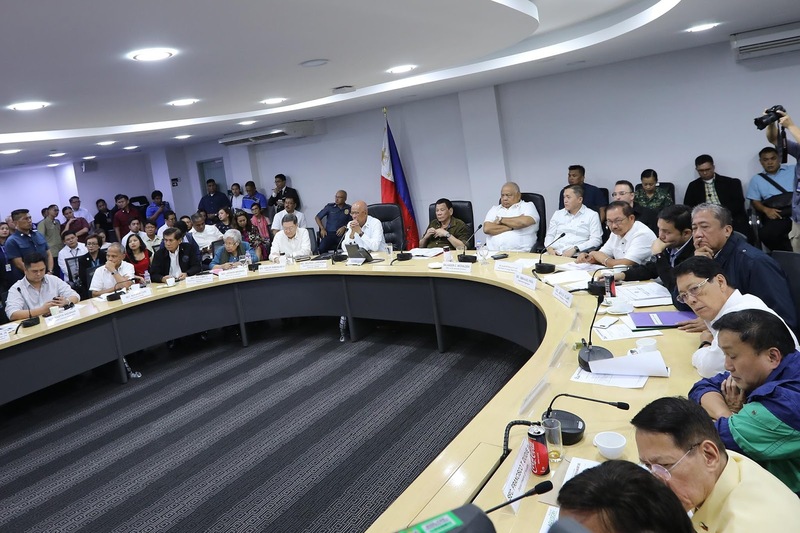 Years after, Davao City saw the need to create a dedicated center wherein officials receive information from the ground, analyze and dispatch a better and well-coordinated help during emergencies. 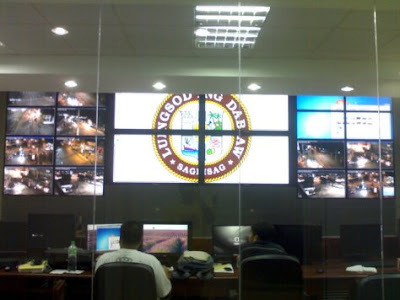 The local government of Davao tapped IBM technology to power it's Public Safety and Security Command Center (PSSCC). 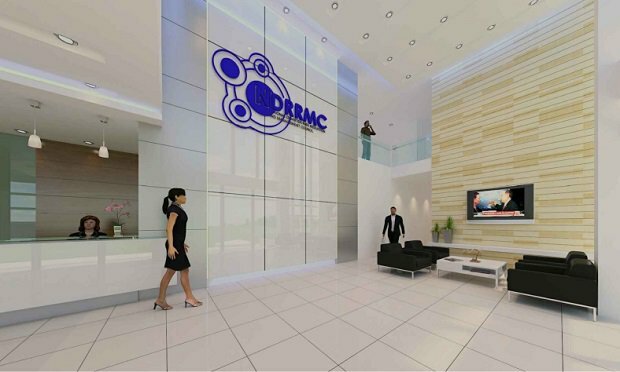 Davao City was the first city in the world to adapt IBM's Smart City Technology. Davao City was then one of the fist cities in the country to install such facilities. 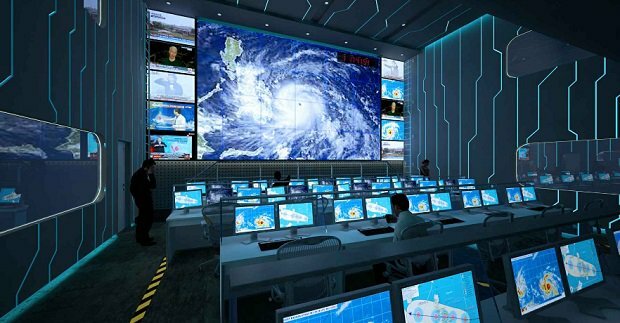 The NDRRMC Intelligent Operations Center (IOC) is the new command and control hub for the Council and its attached agencies. Construction for the 600-square meter building started in 2014 and was completed before 2016. The NDRRMC only started using the facility by early 2016. The 3–level operations center houses a state-of the-art communication equipment that provides seamless communications connectivity and enhances the capabilities of the council. The ground floor is allotted to different agencies who respond during disasters. There is also a briefing room for the media to allow real-time information dissemination to the people. The second floor, where the main operations center is located, has large screens for monitoring purposes. 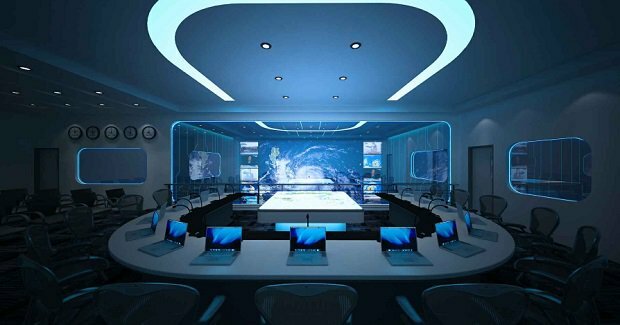 The third floor, which serves as the board room, has a feature that enables the officials to view the large screens from the command center. Among the new facilities in the new IOC are improved bandwidth, real-time video, audio and data transmissions. The government did not spend a single centavo for the construction of the new facility. An estimated cost of the project of 250-300 million pesos ($5.8 million - $6.9 million) was donated by SMSGT Inc. and other foreign partners. At the height of the Yolanda crisis, the Aquino administration came under fire for NDRRMC's slow and allegedly inaccurate reporting on the casualty in affected areas, particularly in Leyte. Heavy criticism from Filipinos and the international community was hurled against BS Aquino's government for inefficiently handling the crises in the Yolanda affected regions. President Rodrigo Roa Duterte oversees the disaster preparedness measures for Typhoon 'Ompong' as he presides over a command conference with the members of his cabinet at the National Disaster Risk Reduction and Management Council (NDRRMC) office in Camp Aguinaldo, Quezon City on September 13, 2018. 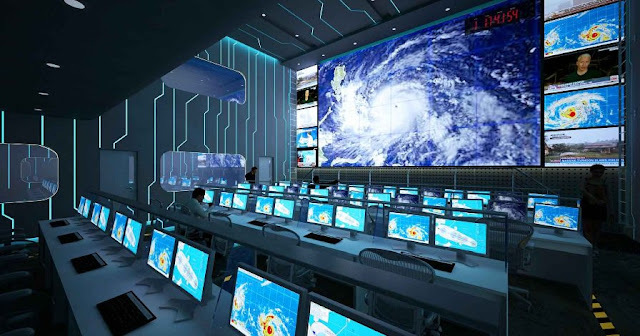 The disaster management agency’s operation center has a massive communication setup with the capability to deploy a rapid emergency communications team. Donated by SMS Global Technologies (SMSGT), an IT and telecommunications systems integrator and solutions provider, the facility showcases a communications vehicle for rapid telecommunications teams. 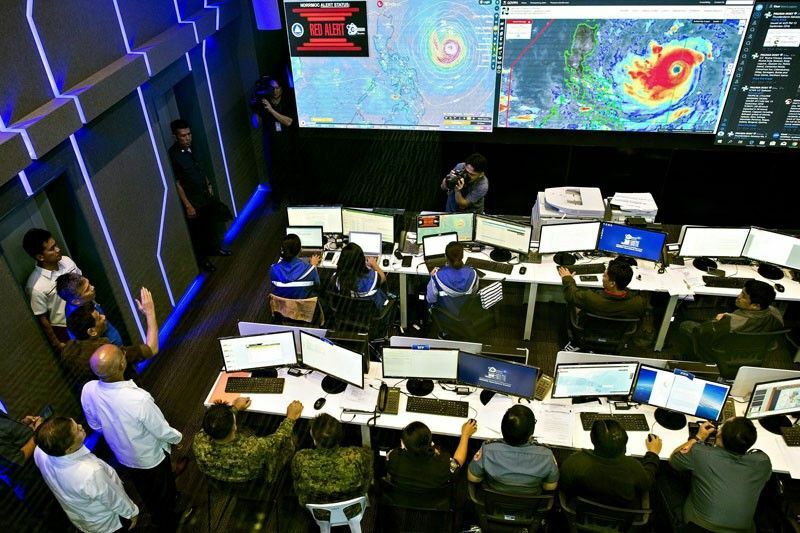 As the center of gravity in disaster management, the NDRRMC operation center is the “strongest OpCen” in the country. 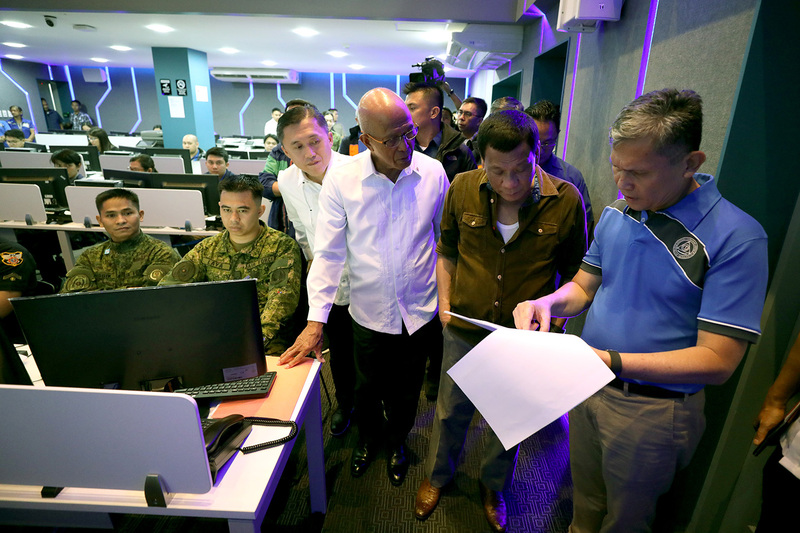 The IOC has a 600-square-meter, state-of-the-art operations center within the premises of Camp Aguinaldo, the central military headquarters. 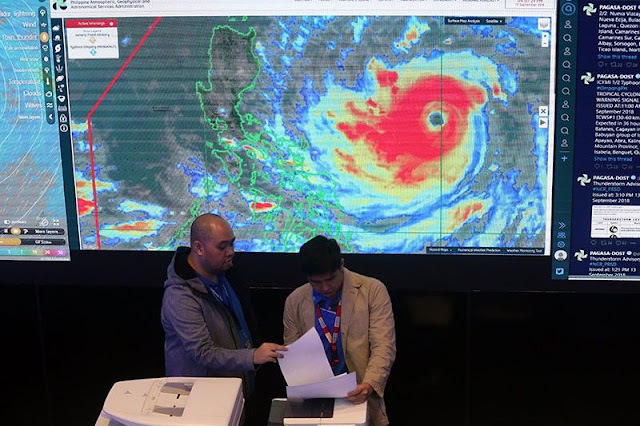 Big screens are installed to help the NDRRMC and its secretariat to determine areas that need government intervention, and to show news feeds coming from the field. SMS Global Technologies President Anthony Angeles said the project was conceptualized after the devastation of typhoon “Yolanda,” which left more than 6,000 persons dead. NDRRMC's new facility is not new. This has been operational since early 2016. 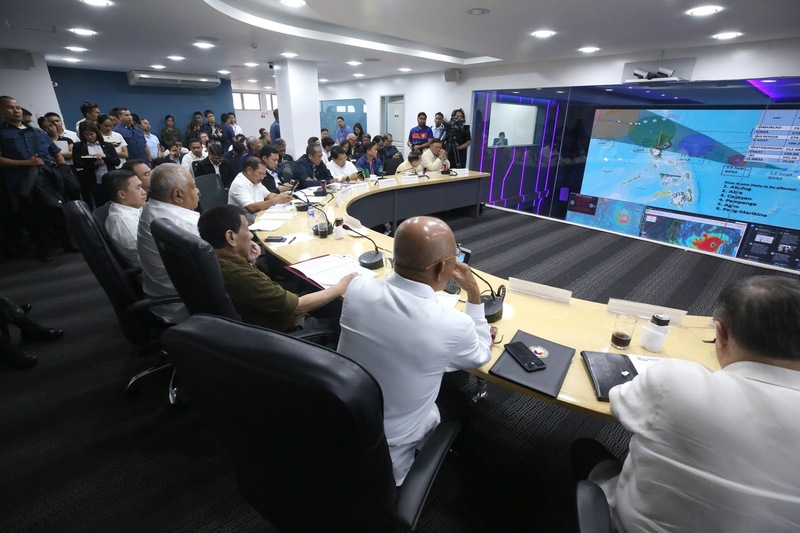 The new facility took the spotlight when President Duterte held a command conference in the facility on Thursday to prepare for the expected devastation of Typhoon Ompong in the country. Are you happy with this news? Don't forget to share it to your friends!